ALBUQUERQUE, N.M. (AP) — The U.S. Justice Department’s track record for prosecuting Indian Country crimes has not significantly changed in recent years, even amid programs and attempts to boost both public safety and prosecutions on tribal lands, according to federal figures released Wednesday. In an annual report prepared for Congress, the department’s statistics showed U.S. attorneys’ offices declined to prosecute 37 percent of Indian Country cases they deemed resolved in 2017, usually citing insufficient evidence. The percentage of cases dropped by prosecutors or sent to other courts was up three points from 2016. The report on prosecution rates marks the first since a government watchdog report from the Office of Inspector General last year issued a critical analysis of U.S. attorneys’ prosecution of Indian Country cases. It cited data that must be collected under a 2010 law for the annual reports on investigations and prosecutions. 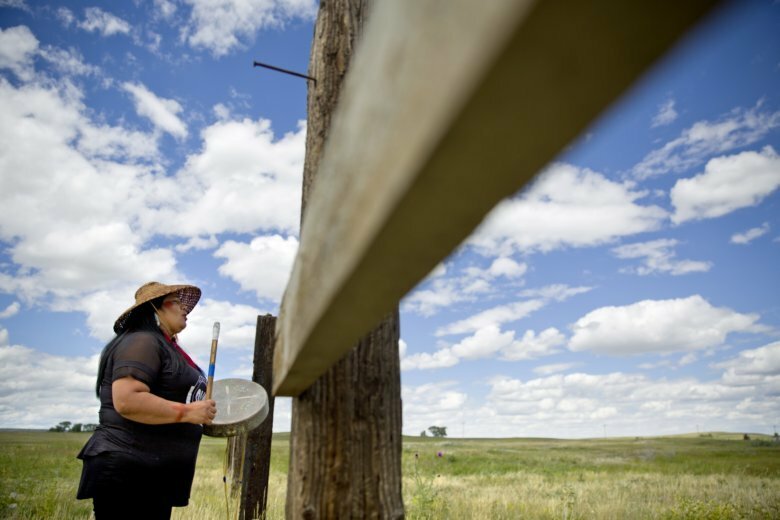 The report also comes amid heightened concerns in Congress and tribal communities over crimes against Native American women , who are disproportionately victimized by sexual assault and domestic assault. More than half of Native American women have encountered sexual and domestic violence at some point during their lives, according to a National Institute of Justice survey published in 2016. In the Justice Department report, a quarter of cases U.S. attorneys declined to prosecute stemmed from reported sexual assaults. A third resulted from other reported assaults, a category that includes domestic violence cases. Udall, who is the vice chairman of the Senate Committee on Indian Affairs, said limited data collection and lack of clear protocols for authorities’ handling of cases have, in part, hampered investigations, prosecutions and strategic crime-fighting in Native American communities. Trent Shores, who is Choctaw and the U.S. attorney for the Northern District of Oklahoma, echoed Udall’s calls for more funding, saying resources were needed across the board to support more investigators, tribal courts and forensic work in crime laboratories — which would help with prosecutions. More than 70 percent of unprosecuted cases were dropped because of a lack of evidence. While frustrated with the persistent statistics showing Native Americans victimized at alarming rates, Shores said he also believed the report shows some promising findings. He said that some of the cases categorized as being declined by federal prosecutors received the designation because they were sent to tribal courts — which actually represents recognition of tribes’ sovereignty and ability to handle cases at a local level. About 13 percent of the declined cases were referred to different jurisdictions, according to the report. “I am seeing continued improvement in the department’s ability to better capture the data — to prosecute crimes,” he added. Shores, who was appointed to his post last year by President Donald Trump, chairs a Justice Department committee on Native American issues and contributed to the prosecutions report. He said he and others are committed to carrying out a range of initiatives meant to improve policing and prosecutions in tribal communities. They include an Obama-era program that has been expanded under the Trump administration and calls for numerous U.S. attorneys to staff their offices with special prosecutors who must focus on Indian Country cases. The prosecutors also can handle cases in both tribal and federal courts. “It certainly is not for a lack of effort, for a lack of want or will,” Shores said of the stagnant crime and prosecution statistics.